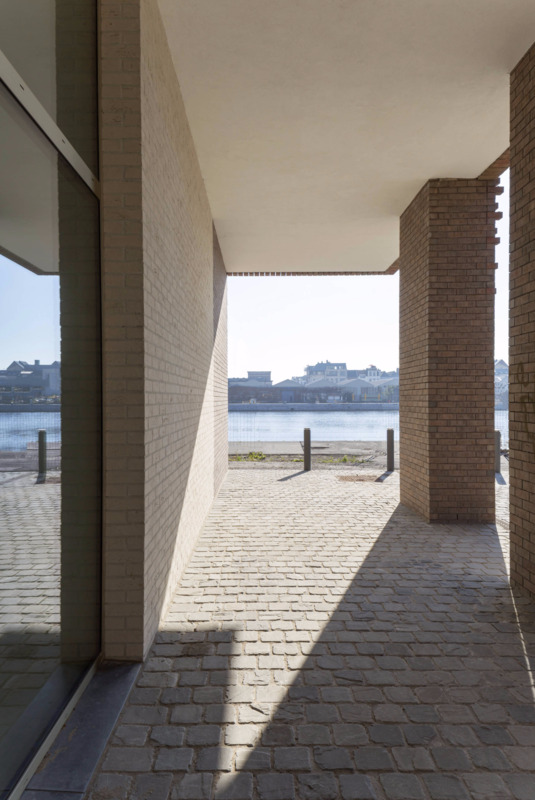 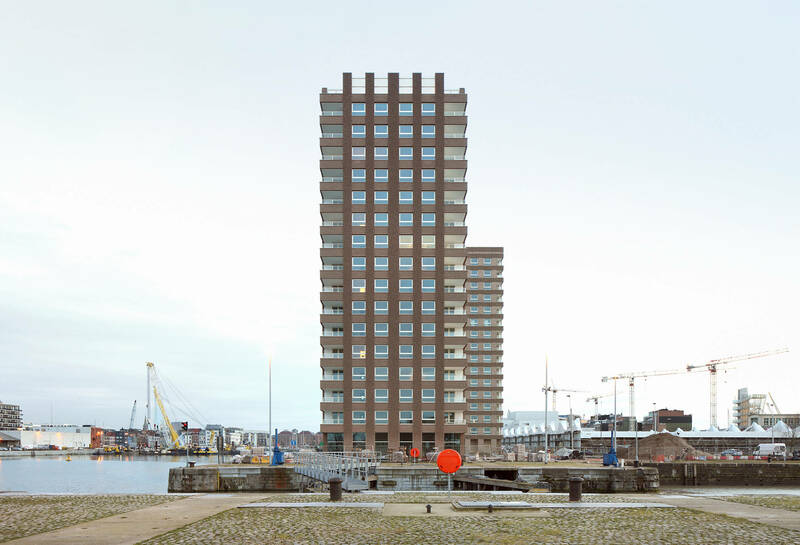 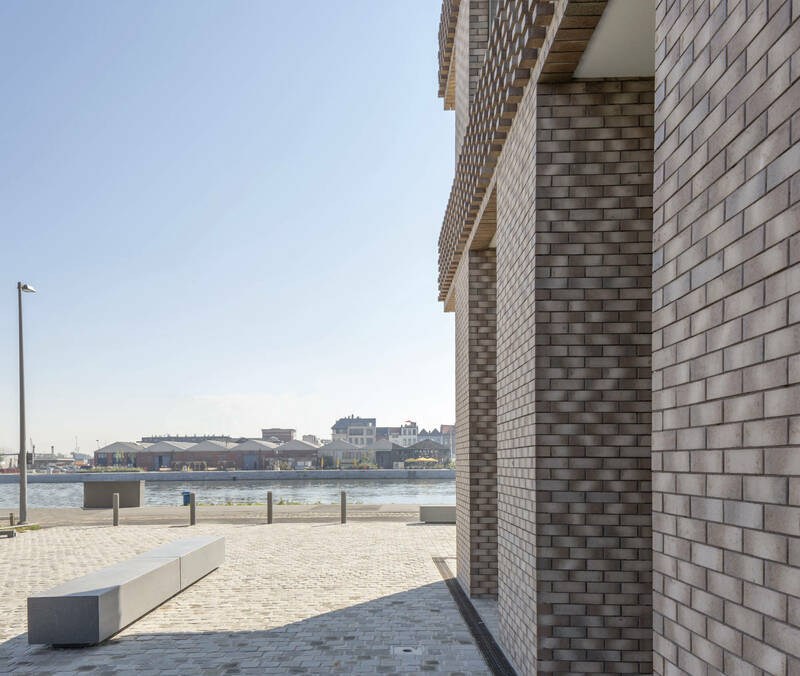 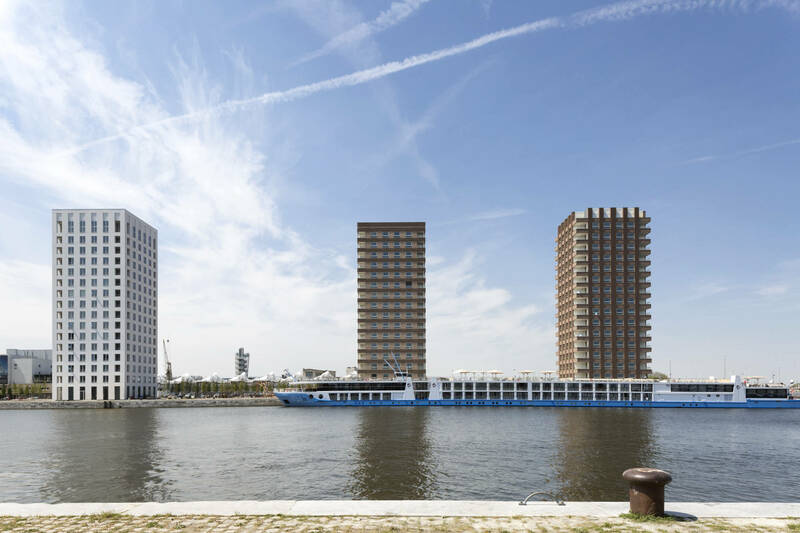 Tony Fretton Architects were selected as one of three leading international architecture firms to participate in a renewal plan for a defunct dockyard in the centre of Antwerp. 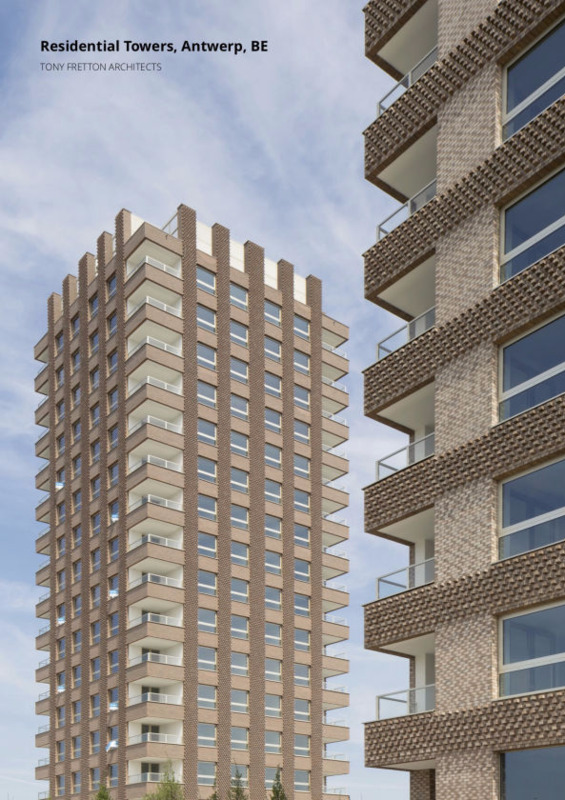 Our part of the project comprises two out of the six towers envisaged, all of which sit in a site wide carpark. 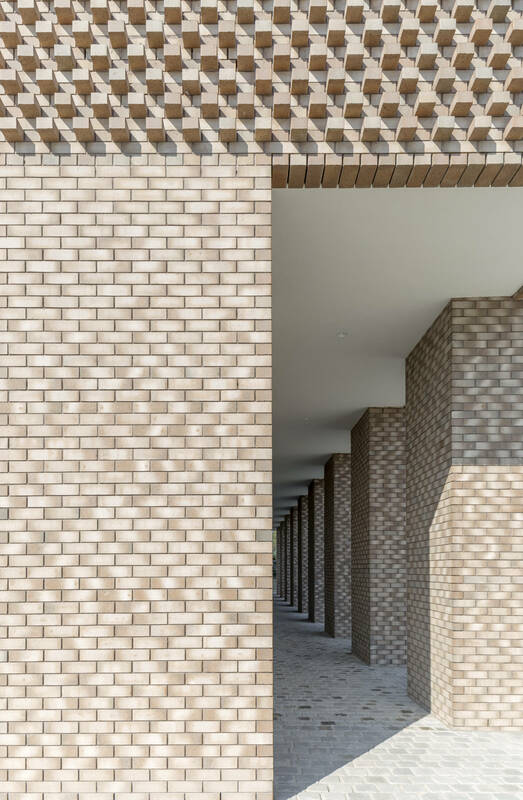 Our buildings are clad in brick, each with different emphasis and colouration. 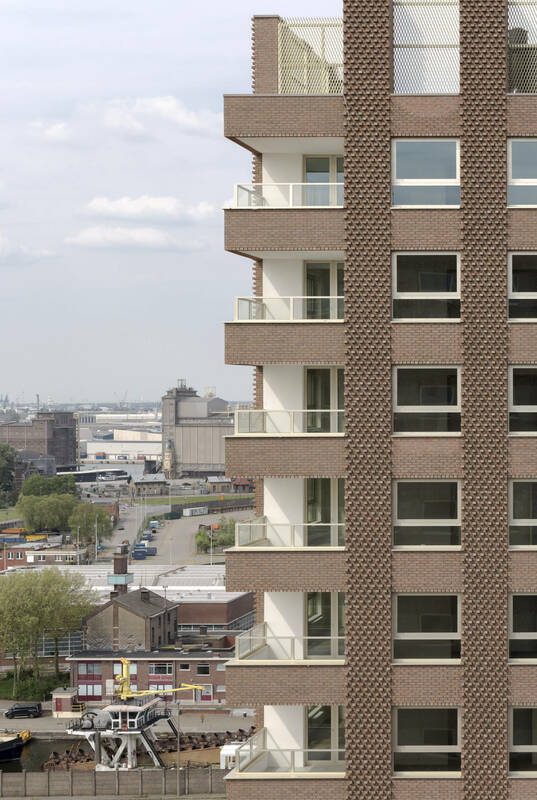 Large windows and sheltered corner balconies make for pleasant apartments with panoramic views and good daylight. 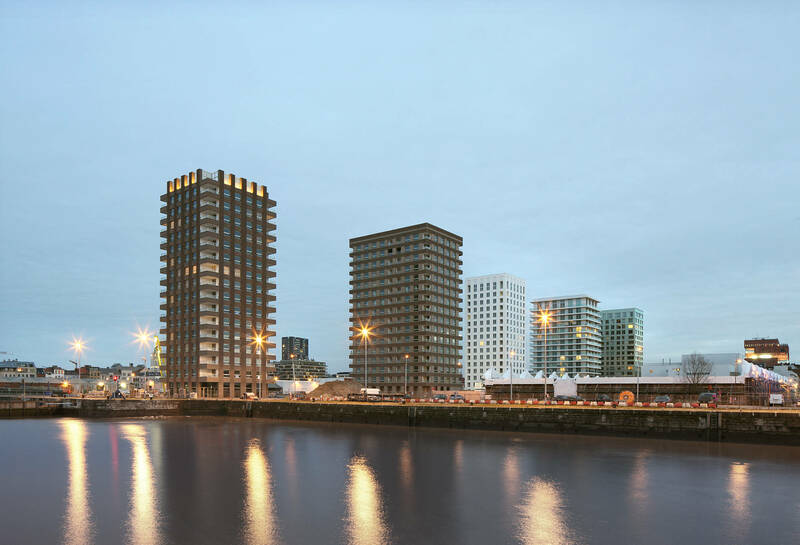 In addition to ground floor commercial the two towers have 16,500m2 of sales and rental apartments over 17 storeys. 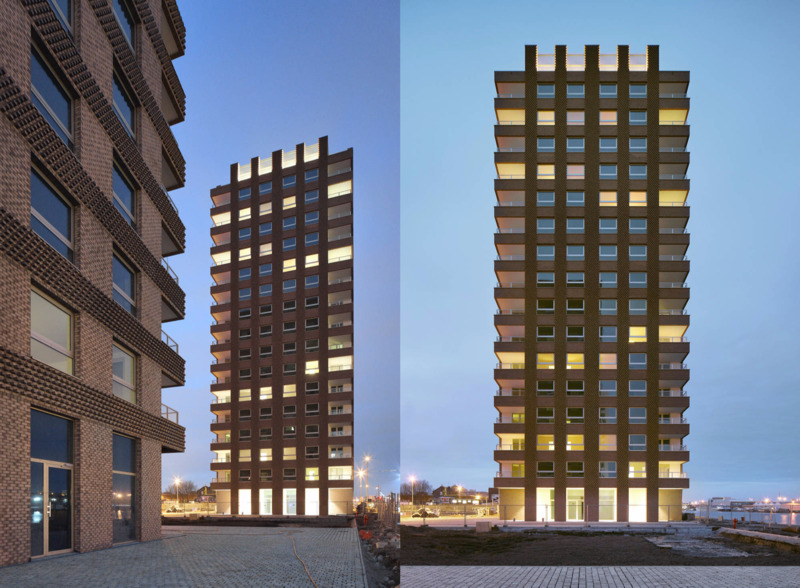 The end tower is intended as a harbour beacon and has a lit crown of gold anodised aluminium. 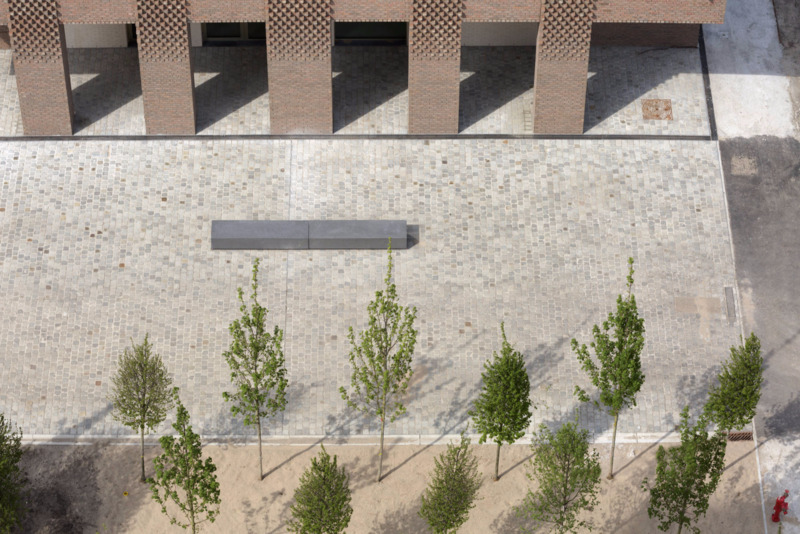 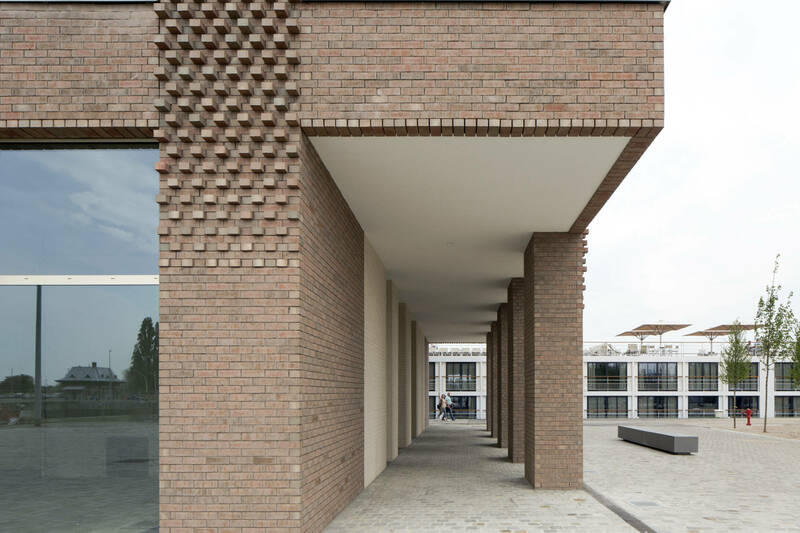 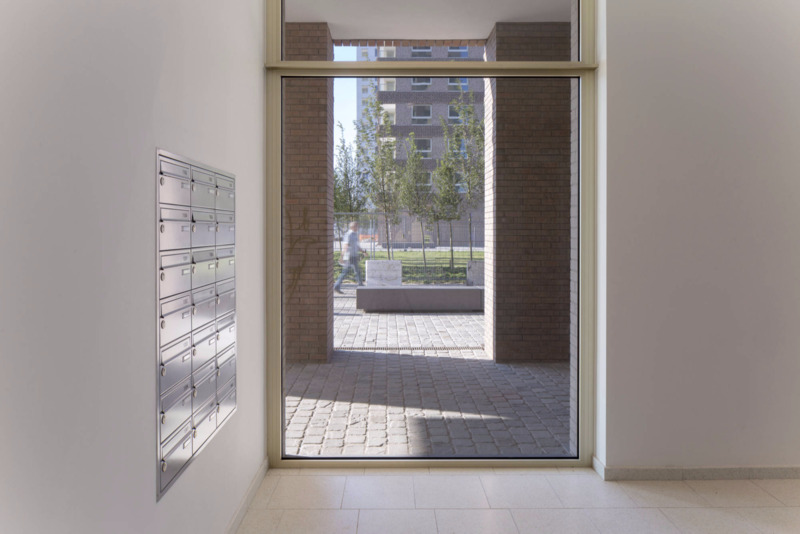 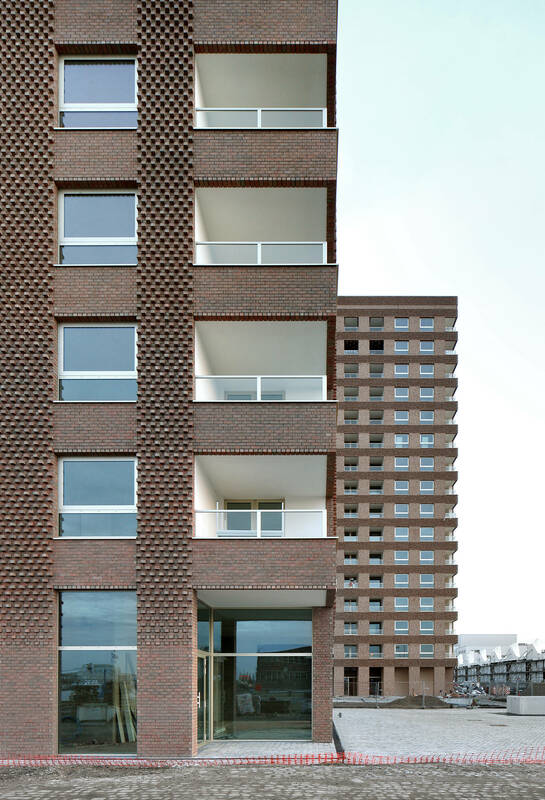 Finely crafted residential towers, wrapped in Flemish brickwork creating 165 new homes.